Focus on your lowest score first. Focusing on your lowest scores first should go without saying, but I find that a lot of students want to work on their best sections because they're most confident and comfortable with the material and they like working on things they're good at. But this makes little sense when it comes to test prep because it's much easier to raise a score from 500 to 600 than from 600 to 700, and the rewards are much greater. Here's why. There are 58 questions in the math section. To jump from a score of 500 to 600 requires moving from about 26 to 38 correct answers. To jump from 600 to 700 requires moving from 38 to 50 — the same number of questions. But there are a lot more "low-hanging-fruit" questions that can be plucked to move from 26 to 38 than there are from 38 to 50. Here's an analogy. Pretend you were running your first 5K race ever, you're pretty out-of-shape, and your average pace is 9:30 per mile. With some training, you could lower your time to 8:30 per mile because it's relatively easy to cut time by a minute at that level. You could probably accomplish that result within a month. Just . . . a . . . little . . . faster! But now let's say you were already a good runner with an average time of 7:00 per mile. If you want to lower your time to 6:00 per mile, it would take a lot of training because cutting a minute at that level is extremely difficult. You'd probably have to train hard for a few months or longer to make the improvement. It's the same amount of time to drop as the slow runner, but it gets much harder to improve by the same margin the faster your pace. That's why olympic athletes train rigorously for years just to cut tenths of a second off their times. The SAT is the same way. There will always be questions on the test that are difficult even for the best and brightest, no matter how hard they've trained. Those tough questions are used to separate the top 1% from the top 10%, and it's not worth many students' time to toil on them. It's much more effective and efficient to allocate time to nailing the easy questions. If that's not enough reason to focus on your lowest scores, there's an even more important reason — for the same increase in questions answered correctly, your percentile (where you rank compared to others) will increase more. Jumping from a 500 to a 600 in the math section moves you from the 40th to the 76th percentile. While jumping from 600 to 700 only moves you from the 76th to the 94th percentile. That’s a change of 36 versus 18 percent for the same increase in the number of questions answered correctly, and the questions are more difficult at the high end. Take our race analogy again. Let's say you've entered a giant 5K race with 10,000 people running. If you were to improve your pace from 9:30 to 8:30 per mile, you'd probably move up by thousands of people. 9:30 per mile would be below average and put you right around say 2,500 out of 10,000. But 8:30 per mile would probably put you above average, maybe placing around 6,000 out of 10,000. That's a jump of 3,500 people with a one-minute improvement. Look at all these people I'm passing! But if you were a 7:00 per mile runner, you'd be starting near the top of the pack, let's say around 8,500 out of 10,000. If you were to improve your pace to 6:00 per mile, you would undoubtedly move up, but probably only to 9,500 out of 10,000 since there are other fast runners at the top of the pack. That's a jump of 1,000 people. So all that painstaking effort improving a minute only helped you pass 1,000 people at the high end, while the slow runner passed 3,500 for the same time improvement. The same goes for improvement on the SAT. It's important to understand that percentiles are not linear. 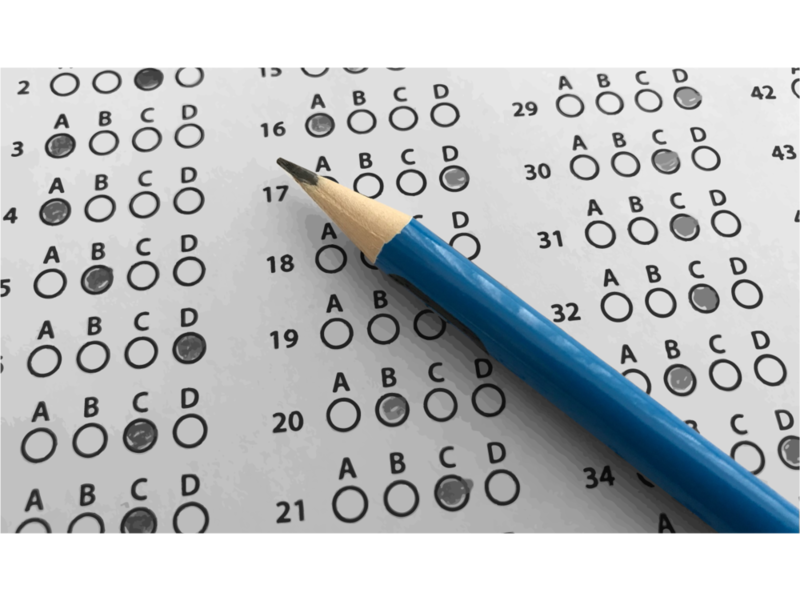 SAT scores form a bell-shaped curve and the further to the right on the curve you are, the harder it is to pass more people. In 2017, about 1.8 million students took the SAT. Improving your score from 500 to 600 in the math section would move you from the 40th to the 76th percentile. That means your rank among the students taking the test would move from 720,000 to 1,368,000 out of 1.8 million. You'd pass 648,000 students with a one hundred point jump! Improving from 600 to 700 would move you from the 76th to the 94th percentile, or from a rank of 1,368,000 to 1,692,000 out of 1.8 million. You'd pass 324,000 students. Wouldn't you rather pass 648,000 students in the college applicant pool than 324,000 for the same score improvement? The same logic applies to any disparity between your scores. Even if the difference were only 60 points between your scores, it still makes sense to spend more time on your lower score because it will take less effort to get more questions right and the questions you get right will move you up the percentiles faster. In other words, you get more bang for the studying buck by trying to improve your lower score. Work smarter, not harder. Focus on your lowest score first.